Welcome to this month’s Mediterranean Achievers Blog Hop. This month’s theme is Wedding Dreams. I created a card and a matching frame for a gift. The frame will also be one of the projects in my Stampin Retreat next weekend. 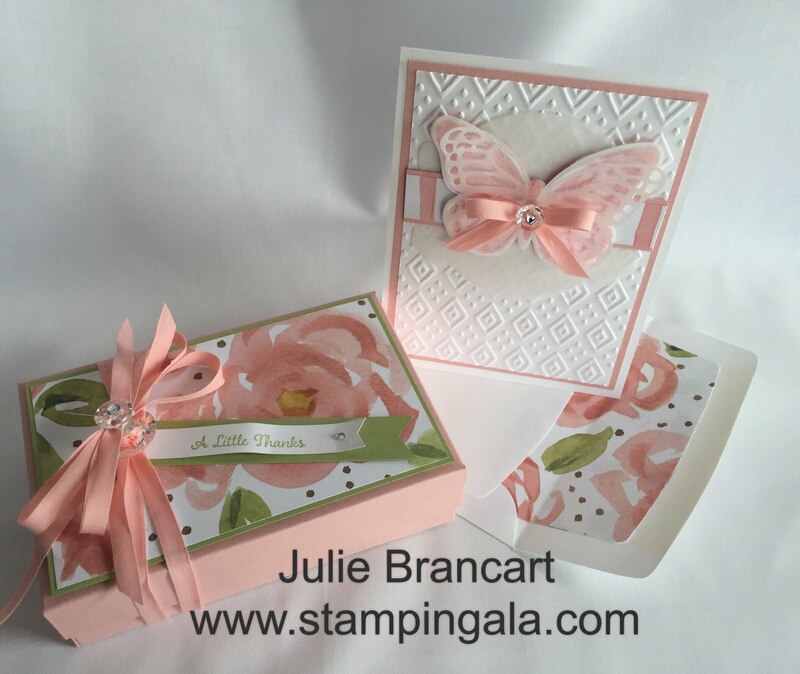 This beautiful Stamp Set is only available until March 31, 2016 and is FREE with a $50 purchase from my online store. I will be featuring this card in my Newsletter this week with a FREE tutorial. If you would like the tutorial, please subscribe to my blog and Newsletter on the right side of my blog. That way, you won’t miss a thing. I am currently participating in an International Blog Highlight Challenge. This is my entry for the challenge. You can place your votes at www.craftykylie.com. I am #53. I had numerous requests for a tutorial on my project, so I am making it available. It is an eight page tutorial complete with step-by-step instructions, pictures and a supply list. The tutorial will be emailed to you after your purchase. A very BIG THANK YOU to Kylie Bertucci for inviting me to participate in her International Blog Highlight!! The theme for the International Blog Highlight is Thank You. I want to tell you that this is a long post with lots of pictures. If you like this project please visit Kylie’s blog at www.craftykylie.com and vote for me. There will also be a tutorial available for this gift set. I want to show you what is inside of the box. These are homemade cake balls. My Sister-in-law, Joey bakes for all of my events. As a Thank You to her, she will be my guest on the Mediterranean Cruise!! Here are a couple more pictures. In addition to my wonderful friends and customers that are so loyal to me, I am very fortunate to have some very thoughtful people who give their time to help me in my business. Stephanie has worked for me every Friday for the past four years. She is so supportive and does whatever I need to get the job done. Many times, it would have been very difficult to keep my busy schedule without her. She has helped me prepare for craft shows as well as worked them. Stephanie is always there to help me at my Weekend retreats from beginning to end. She also comes to my rescue when I need extra supplies. My friend, Lynn and her husband Ron helped me to turn my basement into an AWESOME craft room and class room. They put in weeks of work from painting to electrical. We went through about 10 gallons of paint and Ron hung about 20 lights. Not to mention bolting cabinets to the wall, building furniture and handing punch and ribbon holders. They are constantly helping with all kinds of odds and ends. Lynn always helps me prepare for craft shows and Weekend retreats as well. Lynn is also a member of my team. Finally, my neighbor and friend, Karen is Fantastic!! Over the past two weeks we had a good amount of snow. Karen, her husband and her girls all shoveled my driveway on three occasions!! They were lifesavers!!! I have a VERY long driveway and wouldn’t you know, it always snowed on class days. As you can see, I am very lucky to have wonderful friends. I feel badly that I cannot mention even more special people in my life. But, please know that you are all very much appreciated!! Lovely As a Tree is Stampin Up’s longest running stamp set in the current catalog. It is such a versatile set, it is no wonder it has been so popular for so long. Subscribe to my Weekly Newsletter on the right hand side of this blog and I will send you the tutorial for this card. In addition, you will receive a free tutorial every week!! Today I am playing along with the Global Design Project challenge. This week it is a sketch challenge. For those of you that struggle with design, start with a sketch. You will be surprised with what you come up with. Who wouldn’t want to receive this sweet, little card in the mail?? Watercolor lamb with Aqua Painters in Soft Sky. Add more color randomly for interest. Add Silver Metallic Thread behind the lamb with adhesive. Silver Foil strips down each side frames the image. Add a coordinating lined envelope for a polished look.